We strive to remain on the cutting edge of technology, in order to provide the best to our customers. 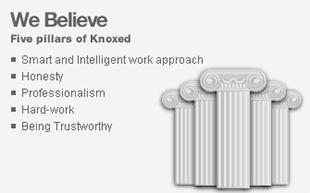 A truly innovative start-up, Knoxed was rapidly able to evolve from a small scale business to a global company with operations in the UK, Germany, China and India. It was this ability to cater for all types of clients that provided the trigger for the launch of UKHDMI and Knoxed E-Trade. With a deeply infused passion for technology, Venturus International has identified new ways to serve and support people by uncovering latent needs, behaviors, and desires. Merlin products are cutting edge in technology and focus on some of the fastest growing segments in consumer electronics. Hdelity mainly offers the two product categories. They are Splitters and Extenders with best quality and performance . Knoxed Infotech began with the belief that blending art and technology would yield the most meaningful and enduring interactive experiences.